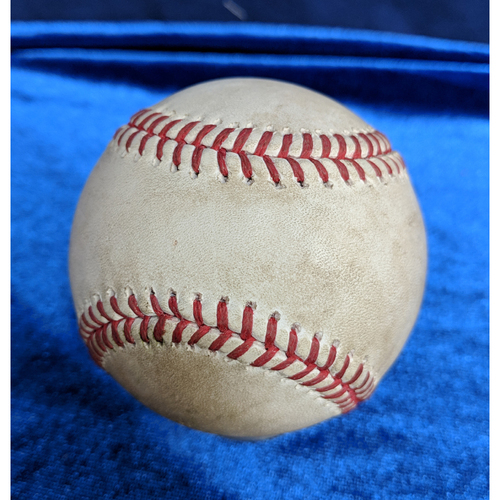 This Ball was used during the April 23rd 2017 Game against the Toronto Blue Jays. This ball was pitched to Albert Pujols in the bottom of the 9th inning by Marcus Stroman. Pujols would hit this ball for a double, his 3rd of 2017 and 605th of his career. With this double Pujols would tie Pail Molitor for 12th place on the career doubles list. As of the start of the 2019 season Albert Pujols is now in 10th place for career doubles with 636.